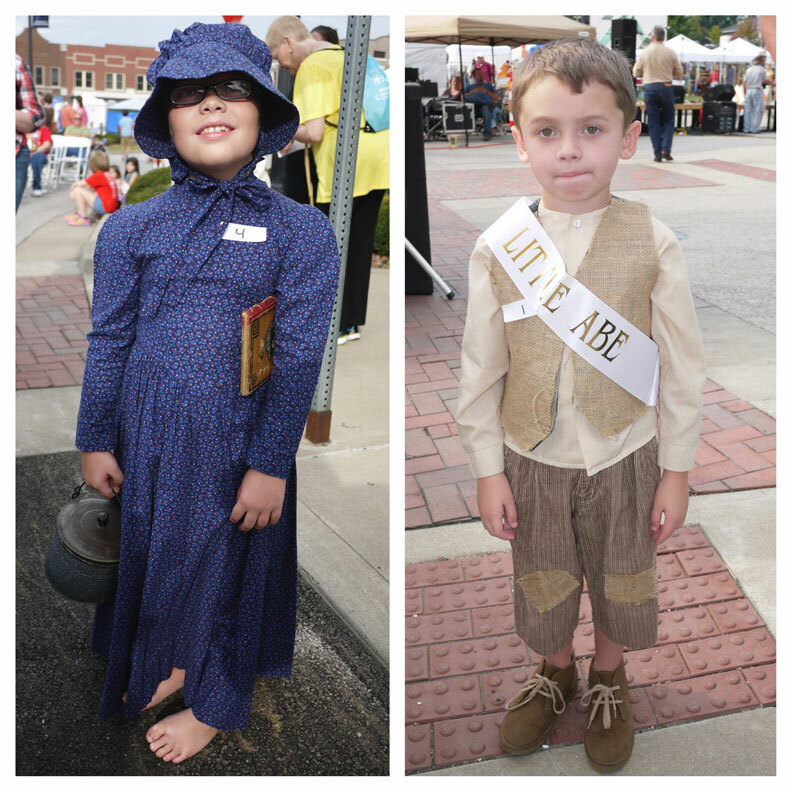 Little Abe & Sarah and Family Costume Contests | Lincoln Days Celebration, Inc.
Saturday, October 6 at 10:30 a.m. Please PRE-REGISTER by Thursday BY 4 P.M.
Best Costumed Family Group: Open to any family, with at least three (3) members dressed in pioneer or antebellum costumes. Each participant must submit with their application a 3 x 5 index card with a brief description of their costume and/or props. Please staple the card to this application form. All contestants are encouraged to use props such as books, dolls, etc. to give their costumes period authenticity. All entrants receive a participatory ribbon. First Place winners will ride on a float in the Lincoln Days Parade on Saturday, October 7. Entry forms are available at the Lincoln Days office, 58 Lincoln Square, or download the 2018 Little Abe & Sarah Costume Contest application.